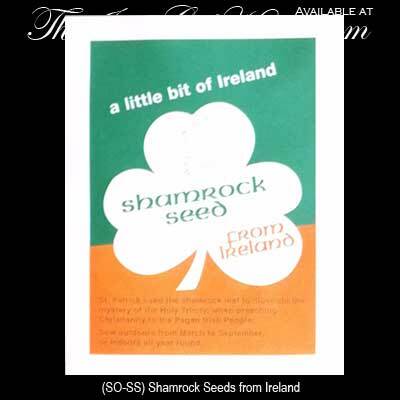 A package of shamrock seeds is an ideal gift for anyone who loves their Irish heritage and has a passion for gardening. The shamrocks seeds are also great for a St. Patrick's Day gift or as a child's project. This package of shamrocks seeds will fit into most greeting card envelopes! Bring a wee bit of Ireland into your home or garden by starting with these shamrock seeds and ending with shamrock plants. The package is printed in green, white and orange colors of Ireland's flag and a brief shamrock history is included.